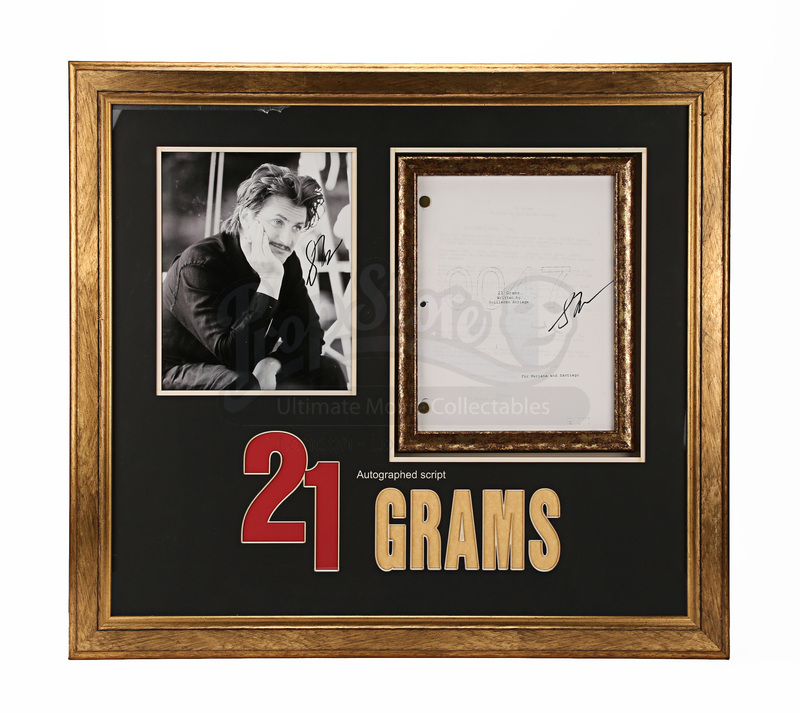 An original autographed script from Alejandro G. Iñárritu’s 2003 thriller 21 Grams. It is part two of the Arriaga's and González Iñárritu's Trilogy of Death - Amores Perros (2000) was the first film, with Babel (2006) concluding the tale. The film’s non-linear plot links the stories of a critically ill mathematician Paul Rivers (Sean Penn), bereaved mother Cristina Peck (Naomi Watts) and a born-again ex-con Jack Jordan (Benicio Del Toro) who meet through a freak accident. 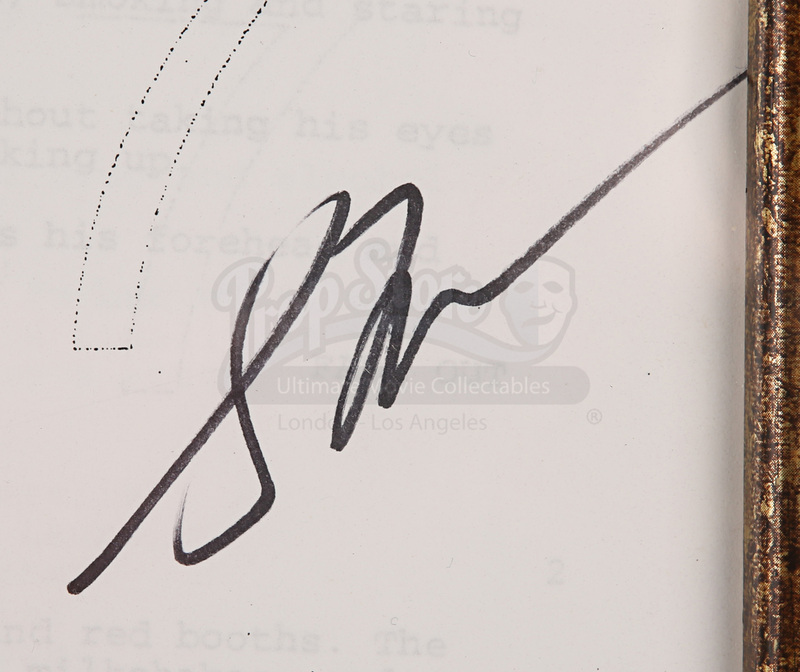 The numbered script cover has been signed by Sean Penn. It comes framed on a laser cut mount board featuring the movie logo with a black and white signed photo of Sean Penn. 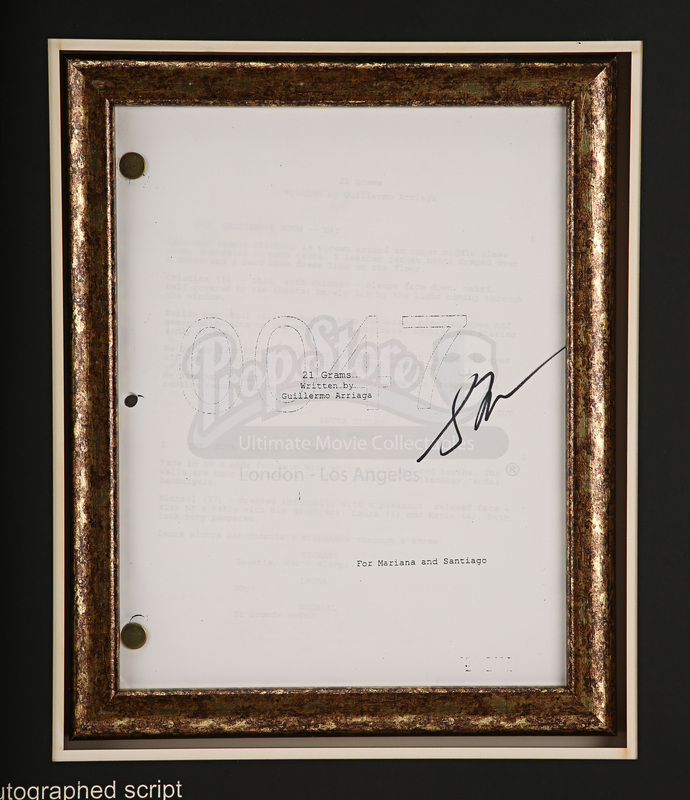 The script comes with a charity auction certificate of authenticity. The glazed display measures 70cm x 62cm (27.5" x 24.5").